The Body Education Alignment Center for Health (the B.E.A.C.H.) is an educational wellness facility dedicated to teaching the Whole Body Alignment Principles of Restorative Exercise™ created by biomechanical scientist, Katy Bowman. The program consists of exercises to teach and restore motor skill and optimal muscle length, and objective alignment markers that serve as indicators to healthy muscle activity and overall health. Optimal Whole Body Alignment is essential for Optimal Health. We teach you what optimal alignment is and why (there are very specific markers to look for) and we teach you how to get your body closer to that. The Biomechanical Model of Preventive Medicine is based on physics, physiology, anatomy, and engineering and simply states that all-over muscle use is a requirement of human health and is not optional. Many common, painful, and expensive ailments are a result of poor motor skills and can be corrected through diligent practice of simple movements. The B.E.A.C.H. currently serves Ventura and Santa Barbara County’s private and medical communities by offering science-based educational and movement programs as well as private and group sessions. 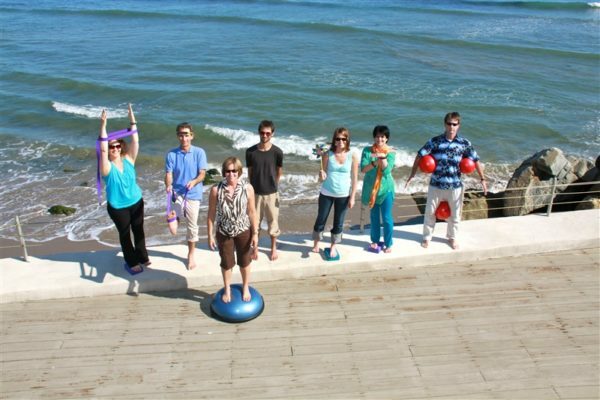 We also offer group presentations to medical facilities, health and wellness groups, student organizations and teams, and any group interested in learning more about Optimal Body Alignment and Restorative Exercise™. In 2006, Katy Bowman, MS, a biomechanical scientist, offered the first ever Restorative Exercise Specialist™ certification. It was the first time she would be teaching others this seemingly revolutionary way of looking at the human body and determining why in our society so many people’s bodies aren’t working as they should. As a society, we are exercising more, yet becoming more unhealthy- more overweight with more pain and more disease. When you observe the body in such an objective way as to view it like the machine it is, it becomes very clear when points of the body are out of alignment and why joints are degenerating and vital organs are failing. 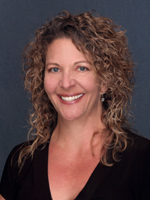 Our Director, Breena Maggio, was fortunate to have been a part of that first-ever Whole Body Alignment Training for the Restorative Exercise Specialist™ (RES) designation and has been teaching others the Science of Alignment ever since. She has now deepened her education and is on the RES-Master Teacher track. Since beginning her career in the fitness industry in 1997, Breena has served as a fitness program director, group exercise instructor, and personal trainer, having been certified by the American College of Sports Medicine. She earned her B.A. in Biological Sciences from UC Santa Barbara. When the opportunity presented itself to take over the studio formerly run by Katy and the Restorative Exercise Institute, Breena jumped at the chance to continue to provide this unique and innovative education to Ventura county residents. In January of 2011, she opened the Body Education Alignment Center for Health, or the B.E.A.C.H., offering a fun, energetic, and community-based educational wellness facility, following closely in Katy’s footsteps, continuing to provide the same level of education and service that people have come to expect when they walk through our doors. At the B.E.A.C.H., we have the distinction that every one of our Restorative Exercise Specialists™ (RES) on staff has been certified and been teaching Restorative Exercise™ for several years. This means that each one of us has chosen to become more fluent in the language of Whole Body Alignment by immersing ourselves deeper into the training. Just like learning a new language, a few years in high school or college does not mean you are suddenly fluent. It is no different with the Science of Alignment. It is a paradigm shift for most of us and with time and diligent practice, it eventually becomes a part of you- you become fluent in “Whole Body Alignment”. Master Teachers are those practitioners who have chosen to “live in the country” for a few years and become fluent enough to teach others from that perspective. It is with passion that we share the simplicity of the 25 Points of Alignment. Although this information is truly applicable to (and should be known by) every single human being, from young children to seniors to athletes, many people come to us because they are already in pain. We have the unique opportunity to teach them that through alignment, they can regain control of their health and that it’s never too late (or too early) to make positive changes and drastically improve their overall wellness. 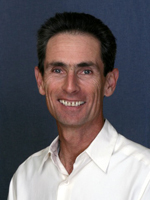 In addition to teaching Restorative Exercise™ (RE) principles at the B.E.A.C.H., Tim is also the anatomy instructor at KALI Institute for Massage and Somatic Therapy. He has over 500 hours of massage education in various techniques and 11 years of teaching massage and beginning anatomy. 20 years of practicing massage has demonstrated both its value and limits as a therapeutic tool. 60 or 90 minutes of bodywork can reduce pain, increase range of motion, and reduce stress, all worthwhile, useful goals. These beneficial outcomes are, however, often temporary. Building on the bodywork, getting to the root of one’s problems is, in Tim’s opinion and experience, what makes RE so effective. His clients now have the tools/exercises to maintain the positive changes made during their massage sessions. They are actively engaged on a full time basis in their own healthcare. After 40 months of intense personal practice as well as feedback from students and clients, he states with confidence that RE is of real and substantial benefit. Often, dramatic results occur from small, simple changes in alignment. 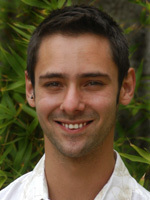 From a young age Michael Kaffel has been interested in holistic health and alternative medicine. He has come to rely on the alignment theories of Restorative Exercise™ in his own practice because of its simple concepts and effective prescriptions. It is his belief that the information being taught at the B.E.A.C.H. can dramatically change everyone’s life and improve everyone’s health. Joan Virginia Allen is a savvy, sassy septuagenarian who, in 2009, at age 71, discovered Katy and Restorative Exercise™ (RE). (See her testimonial for more information.) 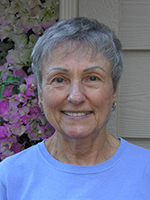 Joan is a retired attorney and a former certified National Strength and Conditioning Specialist™ who taught older adults how to lift weights to build strength and maintain bone density. With RE, she has learned how to use her own body weight, in alignment, to optimize her strength, bone density and balance. “I was so impressed with the science and logic behind RE, in 2010 I chose to become certified as a Restorative Exercise Specialist™ (RES).” In 2012 she was invited to join the B.E.A.C.H. training staff. She also teaches weekly RE classes at the Little House Senior Center in Ojai. She has been happily married for 40 years and has three children, one step-daughter, and eight grandchildren.